The Accessibles was originally devised by young disabled people at Greater Manchester Coalition of Disabled People for Disability History Month. The young disabled people felt that using comics was a fun and accessible way of telling a story and providing information. Working in conjunction with Archives+ and The Disabled Staff Group of Manchester City Council, the group drafted in local comic artist Jim Medway to help pull it together. The original issue ended up winning the Manchester Community History Award in March 2016. When it came to producing some information about Disability Hate Crime, the group felt that continuing the theme of The Accessibles was a great way to put across information on this important issue. 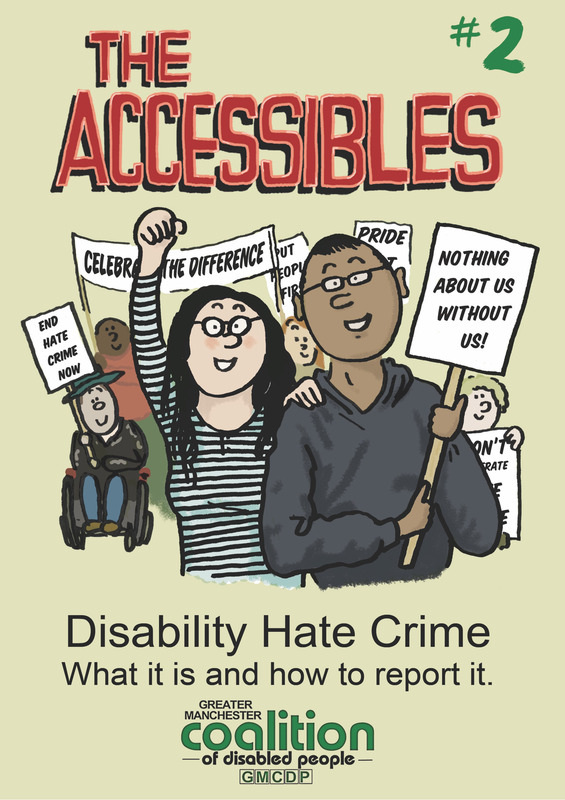 The comic was developed through discussions about hate crime, and a wish to encourage disabled people to report any hate incidents or crimes they experience or see. This comic has been written by a group of young disabled people involved in Greater Manchester Coalition of Disabled People: Jamie Alsager, Dominic Bennett, Josh Coy, Chris Dwyer, Kat Henshaw, Dan Lawless, Qaasim Safdar and Mat Warrington. The project was facilitated and supported by Linda Marsh and Brett Savage and with the invaluable help of Jim Medway.